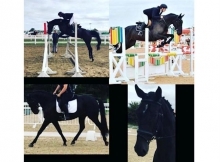 Outstanding mover for sale! 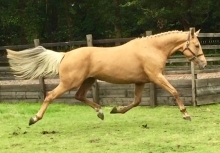 Mare by Vermont RP (Vermont has competed in the Danish national team for ponies). Cointreau has three big paces and she loves to work. She has competed all the FEI classes with a lot of winnings. Easy to ride and handle, excellent temper. Always happy! Clean x-rays. Something for the ambitious rider!